Aspen’s relocated homeless shelter opened a little more than a week ago, just in time for winter’s first serious cold snap. The city’s winter overnight shelter was forced from its usual location at St. Mary’s Catholic Church on Main Street because the building is undergoing renovations. So this year, the congregation of the Aspen Chapel, located west of town near the roundabout that also includes the Aspen Jewish Congregation, volunteered to host the shelter. Aspen Chapel has opened its art gallery space, which can accommodate about 25 people, for the shelter, as well as another smaller room used by the Jewish congregation that will be used to house as many as five or six women, Vesey said. Bathrooms are available, though food and showers are not. The shelter is generally open from the beginning of December to the end of March. Doors open at 9 p.m., while those who wish to spend the night must be inside by 10 p.m. and have a breath alcohol content of 0.08 or below, Savage said. The shelter requires those who stay to perform chores to keep the area clean in the morning before clients are ushered out at 6:30 a.m. So far after a week of being open, the shelter is housing about 12 people a night, he said. “There have been no problems at all,” Vesey said. Aspen Chapel had to do some minor renovations to accommodate the shelter and asked area real estate agents to chip in and help out with the expenses that incurred, he said. Members of Aspen Snowmass Sotheby’s International Realty, Douglas Elliman Real Estate, Engel and Volkers Aspen and Palladium Properties all contributed to the final total of about $20,000 raised, Vesey said. 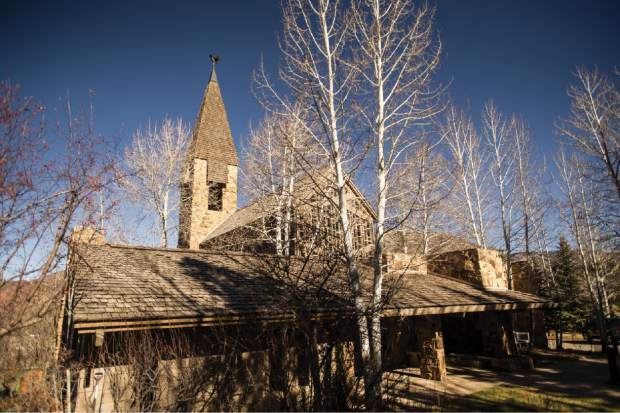 Otherwise, the overnight shelter is supported by grants from local sources such as the Aspen Thrift Store and Pitkin County’s Healthy Community Fund, as well as private donations from Aspen Skiing Co. and other businesses, Vesey and Savage said. Savage, who runs the homeless day center at the county’s Health and Human Services Building across from Aspen Valley Hospital and oversees the overnight program, said the new space is working out well. The location also is beneficial because it’s closer to the day center in the Castle Creek Valley near the hospital, and doesn’t require clients to walk past bars or liquor stores to get there, Savage said. The day center is open from 11 a.m. to 9 p.m. The overnight shelter is mainly for locals and people working in the Aspen area but unable to find housing, Savage said. A majority of those who utilize the shelter do work, he said. The shelter served 192 individuals in 2016, and Savage thinks this year’s number will likely be similar. Some area homeless people, however, choose to spend the winter outside, Savage said. To that end, Mark Vogele, Skico.’s construction manager, is heading up another effort asking people to donate old sleeping bags, tents and camping tarps to local homeless people who choose not to utilize the shelter. “We have to step up and help these people survive the night,” Vogele said. Those with sleeping bags, tents and tarps in decent shape can drop them off at the homeless day center at the Health and Human Services Building (405 Castle Creek Road) or at Skico headquarters at 117 Aspen Business Center. Anyone interested in donating to the Aspen Homeless Shelter can go to aspensafetynet.org or send a check in care of Vesey to the Aspen Chapel.